The cast and creative team of Dear Evan Hansen's national tour gathered at the New 42nd Street Studios September 6 ahead of the tour's launch. Songwriters Benj Pasek and Justin Paul, director Michael Greif, book writer Stephen Levenson, producer Stacey Mindich as well as Ben Levi Ross and the rest of the tour cast met the press, and Broadway.com was there to capture photos of the company and creatives. The national tour will kick off in October at the Denver Center for the Performing Arts, and will go on to play more than 50 cities across the country. Check out the pictures below, and find out when Dear Evan Hansen is coming to your city here. The Murphy family: Marrick Smith, Maggie McKenna, Christiane Noll and Aaron Lazar. 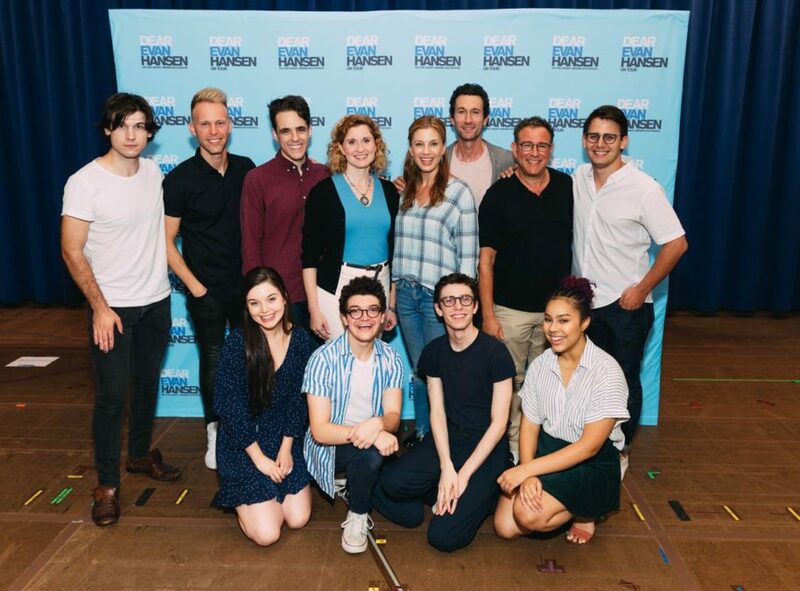 The Dear Evan Hansen national tour cast: Phoebe Koyabe, Marrick Smith, Ben Levi Ross, Jessica Phillips, Jared Goldsmith, Maggie McKenna, Christiane Noll and Aaron Lazar.